Snow and music at Village Walk at Eastlake If you want to feel like you’re inside a snow globe, there will be snow and choreographed music at the Village Walk at Eastlake at 6pm and 7pm, from now until December 24th. Snow and music at Village Walk at Eastlake Chula Vista If you want to feel like you’re inside a snow globe, there will be snow and choreographed music at the Village Walk at Eastlake at 6pm and 7pm, from now until December 24th. 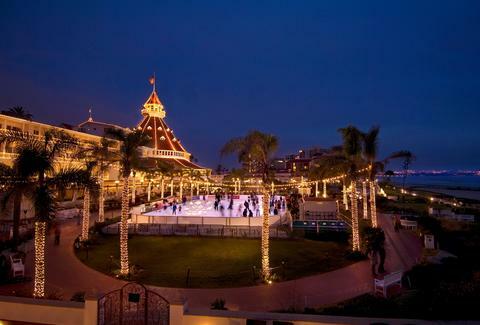 Ice skating at Hotel Del Coronado We’re not exactly living in a winter wonderland down here in sunny San Diego, but if you still want to experience one of the perks of winter, try ice skating with an ocean view at the Hotel Del Coronado. The rink is open from now until January 4th, from 3:30-10pm weekdays, 10am-10pm Saturdays, and 11am-8pm Sundays. Ice skating at Hotel Del Coronado Hotel Del Coronado We’re not exactly living in a winter wonderland down here in sunny San Diego, but if you still want to experience one of the perks of winter, try ice skating with an ocean view at the Hotel Del Coronado. The rink is open from now until January 4th, from 3:30-10pm weekdays, 10am-10pm Saturdays, and 11am-8pm Sundays. Dead Celebrity Christmas Party Dress up like your favorite dead celebrity and get in the holiday spirit at the Dead Celebrity Christmas Party at Winstons in OB. Dead Celebrity Christmas Party Winstons Dress up like your favorite dead celebrity and get in the holiday spirit at the Dead Celebrity Christmas Party at Winstons in OB. New Year's Eve at Altitude Sky Lounge There are a ton of NYE celebrations happening all over San Diego, but none with a view like the one from Altitude Sky Lounge and City Sights on top of the Marriott in the Gaslamp. Their Bottoms Up NYE bash is taking over the hotel, from street level to the open-air rooftop overlooking Downtown and Petco Park, starting at 8pm. There will be DJs, a buffet dinner, unlimited drinks, and free flowing Champagne all night. New Year's Eve at Altitude Sky Lounge Altitude Sky Lounge There are a ton of NYE celebrations happening all over San Diego, but none with a view like the one from Altitude Sky Lounge and City Sights on top of the Marriott in the Gaslamp. Their Bottoms Up NYE bash is taking over the hotel, from street level to the open-air rooftop overlooking Downtown and Petco Park, starting at 8pm. 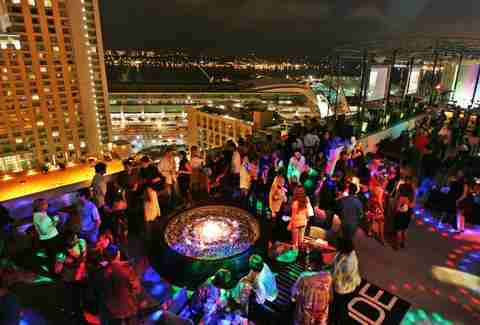 There will be DJs, a buffet dinner, unlimited drinks, and free flowing Champagne all night. New Year's Eve at House of Blues House of Blues Downtown is ringing in 2015 with a 3-in-1 Prohibition style block party blowout. Hickies & Dryhumps will be playing throwback dance jams in the Delta Room, Justin Credible will be rocking the main stage, Battlestar Massive are going to be spinning classic & new hip-hop in the Salvation Alley, and $1000 is up for grabs in the giant balloon drop. New Year's Eve at House of Blues House of Blues House of Blues Downtown is ringing in 2015 with a 3-in-1 Prohibition style block party blowout. Hickies & Dryhumps will be playing throwback dance jams in the Delta Room, Justin Credible will be rocking the main stage, Battlestar Massive are going to be spinning classic & new hip-hop in the Salvation Alley, and $1000 is up for grabs in the giant balloon drop. New Year's Eve at Stone Brewing Co. 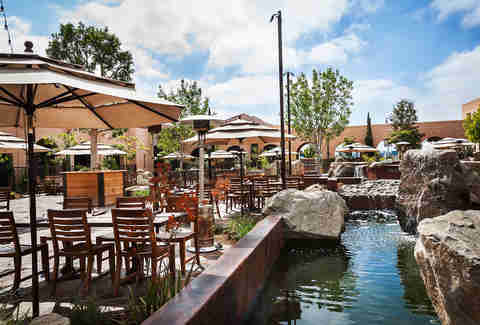 If the Downtown scene isn’t your thing, Stone Brewing Liberty Station is celebrating the new year with live music throughout the gardens and restaurant; food stations; commemorative glasses full of rare Stone beers for the midnight toast; and a heated outdoor cigar lounge. Tickets also include three standard-sized pours of your favorite draft or wine. New Year's Eve at Stone Brewing Co. Stone Brewing Liberty Station If the Downtown scene isn’t your thing, Stone Brewing Liberty Station is celebrating the new year with live music throughout the gardens and restaurant; food stations; commemorative glasses full of rare Stone beers for the midnight toast; and a heated outdoor cigar lounge. Tickets also include three standard-sized pours of your favorite draft or wine. 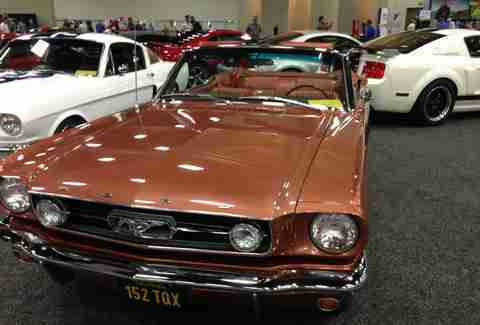 San Diego International Auto Show San Diego International Auto Show will bring over 400 vehicles from 40 global manufacturers -- plus an Exotics Vault filled with cars you’ll never be able to afford in your lifetime -- to the San Diego Convention Center. San Diego International Auto Show San Diego Convention Center San Diego International Auto Show will bring over 400 vehicles from 40 global manufacturers -- plus an Exotics Vault filled with cars you’ll never be able to afford in your lifetime -- to the San Diego Convention Center. San Diego Comedy Festival Hit up the San Diego Comedy Festival for 10 days of non-stop hilarity. There will be comedy shows featuring national-touring headliners & celebrities, TV & radio personalities, and if you’re looking to be discovered, bookers, managers & agencies. San Diego Comedy Festival The Comedy Palace Hit up the San Diego Comedy Festival for 10 days of non-stop hilarity. There will be comedy shows featuring national-touring headliners & celebrities, TV & radio personalities, and if you’re looking to be discovered, bookers, managers & agencies. San Diego Beer Fest San Diego Beer Fest is back at Liberty Station for the 5th year from 1-5pm, featuring unlimited beer tastings from dozens of local and international craft beers, live music, and food trucks. San Diego Beer Fest Liberty Station San Diego Beer Fest is back at Liberty Station for the 5th year from 1-5pm, featuring unlimited beer tastings from dozens of local and international craft beers, live music, and food trucks. San Diego Restaurant Week As if you didn’t gorge yourself enough during the holidays, and just in time to ruin your New Year’s resolutions, Restaurant Week is back again. Everyone’s favorite foodie event will include prix-fixe menus for lunch and dinner from more than 180 SD restaurants all over the county. San Diego Restaurant Week Multiple locations As if you didn’t gorge yourself enough during the holidays, and just in time to ruin your New Year’s resolutions, Restaurant Week is back again. Everyone’s favorite foodie event will include prix-fixe menus for lunch and dinner from more than 180 SD restaurants all over the county. Farmers Insurance Open PGA TOUR Torrey Pines will host the Farmers Insurance Open PGA TOUR golf tournament February 5-8th. Aside from the competition, you can visit the Fan Village where you can get your drink on and not miss out on the action on the green -- thanks to the mega LED screen with live coverage of the Open, and the Expo where you can check out the latest gold equipment. 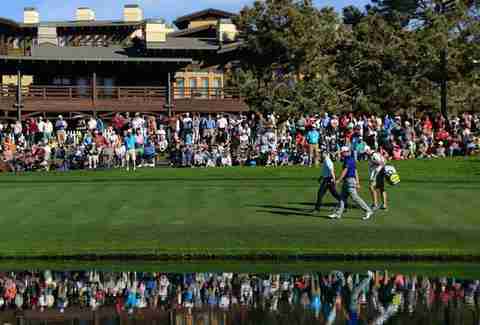 Farmers Insurance Open PGA TOUR Torrey Pines Torrey Pines will host the Farmers Insurance Open PGA TOUR golf tournament February 5-8th. Aside from the competition, you can visit the Fan Village where you can get your drink on and not miss out on the action on the green -- thanks to the mega LED screen with live coverage of the Open, and the Expo where you can check out the latest gold equipment. 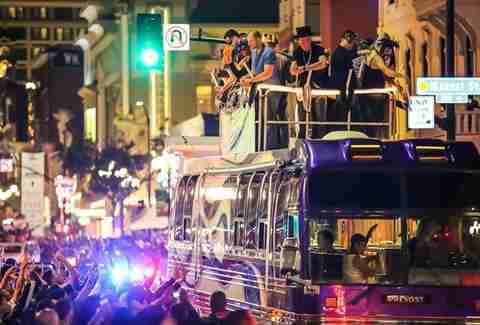 Gaslamp Mardi Gras Celebration & Parade Forget New Orleans. This year, head downtown for the 2nd largest Fat Tuesday Celebration in the United States -- the Gaslamp Mardi Gras Celebration & Parade. From 5pm-midnight, five outdoor stages, world-renowned DJs, a parade, and non-stop entertainment will be taking over Fifth Ave, from Broadway to L St.
Gaslamp Mardi Gras Celebration & Parade Fifth Ave Forget New Orleans. This year, head downtown for the 2nd largest Fat Tuesday Celebration in the United States -- the Gaslamp Mardi Gras Celebration & Parade. From 5pm-midnight, five outdoor stages, world-renowned DJs, a parade, and non-stop entertainment will be taking over Fifth Ave, from Broadway to L St.
San Diego Winter Brew Fest San Diego Winter Brew Fest is coming to the Hall of Champions in Balboa Park, bringing craft beers from more than 40 California breweries, live local music, food, and other vendors. San Diego Winter Brew Fest Hall of Champions San Diego Winter Brew Fest is coming to the Hall of Champions in Balboa Park, bringing craft beers from more than 40 California breweries, live local music, food, and other vendors. Busker Festival Seaport Village is hosting the Busker Festival from 12-6pm on March 7th and 8th. The Free event features street performers from around the country, and an adult-only Buskers after dark event on the 7th from 7-10pm with DJs, fire jugglers, comedians, acrobats, beverages, and more. Busker Festival Seaport Village Seaport Village is hosting the Busker Festival from 12-6pm on March 7th and 8th. 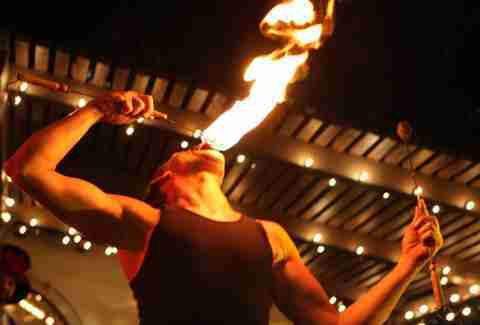 The Free event features street performers from around the country, and an adult-only Buskers after dark event on the 7th from 7-10pm with DJs, fire jugglers, comedians, acrobats, beverages, and more.